Have you tried Speculoos Cookie Butter, a creamy spread with hints of cinnamon and nutmeg and made from crushed biscuits? This ingredient is an exciting new addition to your kitchen cupboard. We enjoy it on toast, pancakes and ice cream. 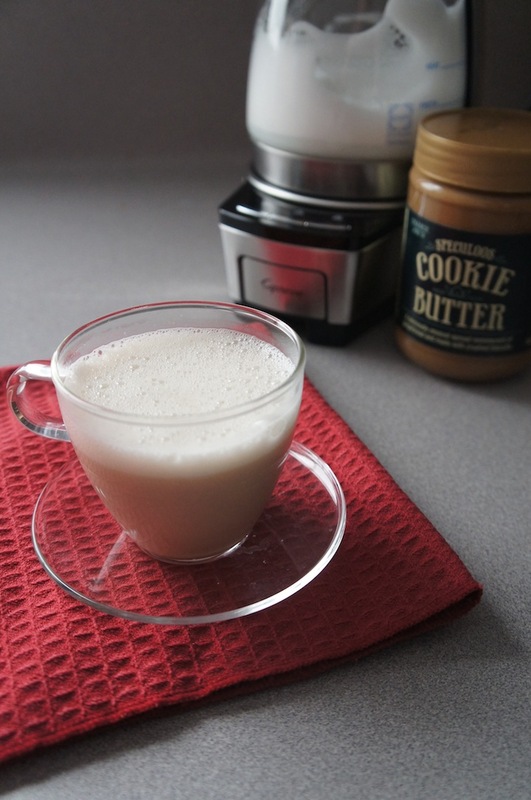 So it was a natural fit to create a new hot beverage featuring Speculoos Cookie Butter. This creamy drink has a subtle cookie flavor that will likely make Speculoos Cookie Butter your new favorite new find, too. Place the frothing disk into the froth enhancer of your Capresso froth TEC and ensure it is securely snapped inside the bottom of the milk pitcher. Add milk to frothing pitcher. Place lid and press the Hot button. Meanwhile, place cookie butter in microwave-safe bowl and heat for 50 seconds, stirring in 10-second intervals until cookie butter has a liquid consistency. After about 3 minutes, remove frother lid and add cookie butter to the frothing pitcher. Wait for frother to automatically shut off. Serve in mugs and enjoy.